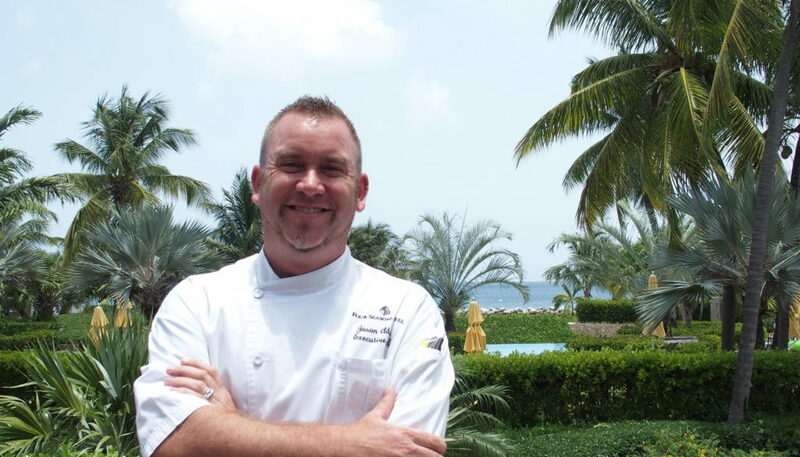 It’s no exaggeration to say that Jason Adams knows Caribbean cuisine as well as any Executive Chef in the world. This claim rings true knowing that the British-born Adams cooked in St. Thomas, Grand Cayman, and Puerto Rico before landing in 2013 at the Four Seasons Resort on the island of Nevis. Since his first Caribbean-based position in 1998, Adams makes a point of adding local island flavor to his kitchens, menus, and restaurants. This Malcolm Baldridge award winning chef leans on knowledge gained from each of his past island cooking stops to “wow” his Four Seasons dinner guests today. As much as working on four different islands has expanded Adams’ Caribbean culinary reach, it’s been his willingness to explore outside the kitchen that has paid off both personally and professionally. 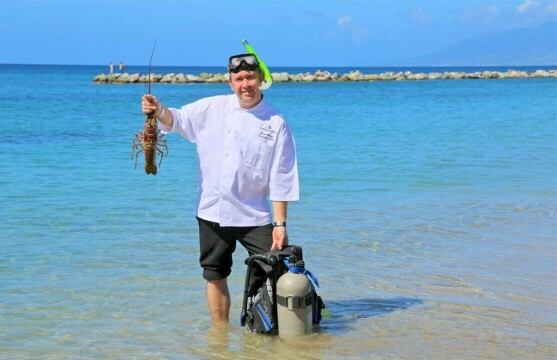 Adams met his wife while working in Grand Cayman and his newfound passion for scuba diving is something he now shares with adventuresome Four Seasons diners. 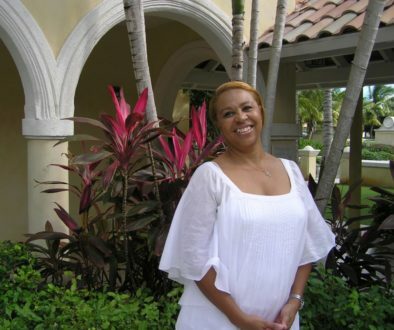 St. Thomas, U.S. Virgin Islands– “Working at the Ritz Carlton in St. Thomas was literally my first taste of the Caribbean. Coming from London, I fell in love with the warm Caribbean weather and water. St. Thomas is where I experienced Carnival and its rich music, culture, and vibrant colors. My co-workers took me to many of the local places on island. We’d enjoy a few beers and listen to Calypso music. They also tried to teach me to dance! Grand Cayman– “Cooking at the Ritz Carlton in Grand Cayman, I experienced a real barbecue influence. The memories that stand out include the prevalence of jerk seasoning and marinating meats. In Grand Cayman we used both dry and wet rubs. Cayman is the place where I learned how to scuba dive in their beautiful waters. I’m still an avid diver today. Puerto Rico- “While working at the Ritz Carlton San Juan, I remember the street fairs in Pinones. A fond memory is mingling with the locals and sampling their dishes. From the street fairs I learned about pastelon. This is a type of lasagna cooked with sweet plantains. Pastelon is the ultimate combination of sweet and savory. Puerto Rico is also where I learned to slow roast a pig on a spit. We added flavorful seasonings and side dishes such as oregano, boiled green bananas, root vegetables, crushed plantains and bacon called Mofongo. This was definitely a “wow” for dinner guests. I still occasionally roast a pig here in a La Caja China box at the Four Seasons. 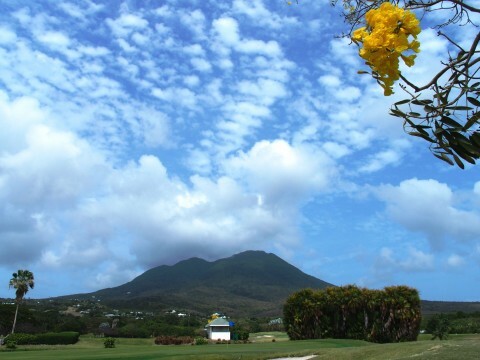 Nevis- “The thing that is unforgettable about Nevis is what I see right in our backyard. Nevis Peak, a 3,200-foot volcano, is situated on the Four Seasons 300-acres. To see this majestic volcano every day in a national park setting is really special. Nevis is another Caribbean island that is big on barbecue. Fridays are called “street nights” here on the island. You can visit most any neighborhood and eat delicious barbecue from the “Street Yardies.” The people of Nevis are very welcoming. Since I’ve been here at the Four Seasons, we’ve worked closely with local farms to supply produce, and we have our own herb garden on the property. We also tap into a network of local fishermen for our fresh catch of the day. 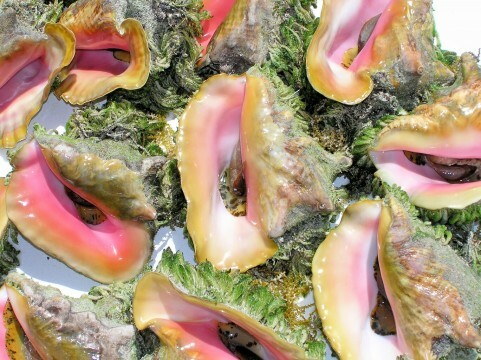 Our menu features snapper, grouper, spiny lobster, mahi, conch, sea snails, and pumpkin swordfish. For foodie-loving vacationers seeking authentic Caribbean delicacies, it’s hard to top the culinary choices presented by Jason Adams at the Four Seasons Resort in Nevis. Adams is the only chef in the Caribbean willing to dive for your dinner. 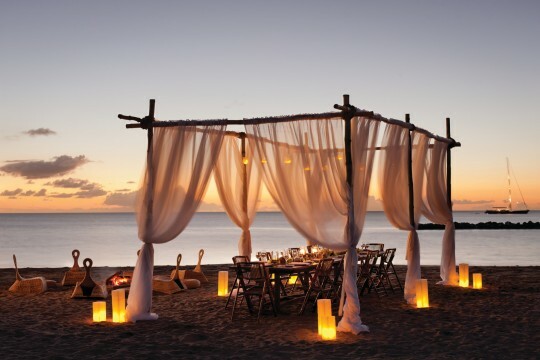 After savoring your fresh catch under the stars on the beach, just don’t ask Jason to dance.